Mandate M/136 the European Acceptance Scheme for Construction Products in Contact with Drinking Water. Mandate M/366 on Regulated Dangerous Substances. 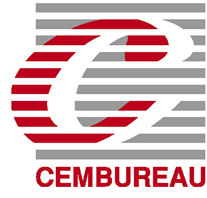 Regulation (EU) No 305/2011 the Construction Products Regulation (CPR). Regulation (EC) No 1272/2008 – the Classification, Labelling and Packaging of substances and mixtures (CLP). EFCA was instrumental in the development of European admixture standards (EN 934 standards series) and test methods for concrete (EN 480 standards series). Most concrete admixtures conform to the requirements of EN 934 and are in use by the National Standards Bodies of 31 European countries. “The European Chemicals Agency (ECHA) is the driving force among regulatory authorities in implementing the EU’s ground-breaking chemicals legislation for the benefit of human health and the environment as well as for innovation and competitiveness. ECHA helps companies to comply with the legislation, advances the safe use of chemicals, provides information on chemicals and addresses chemicals of concern.” ECHA works in cooperation with a number of umbrella organisations from different fields and sectors, all working at an EU level and representative of their area of competence, known as accredited stakeholder organisations (ASOs) who contribute with their knowledge and help ECHA to reach out to wider audiences. EFCA is an accredited stakeholder of ECHA. In 2015 EFCA has updated its previous Environmental Product Declarations (EPD) by publishing Model Core European EPD for 6 admixture types. These have been verified by the Institute of Construction and Environment e.V. (IBU), a member of the ECO-Platform, to be in compliance with EN 15804 and EN ISO 14025. Since October 2016 the EPDs have also been verified by ECO-Platform. 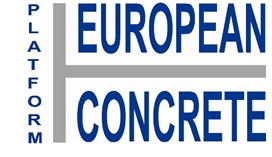 Through the European Concrete Platform EFCA is involved directly in the development of the Concrete Sustainability Council Responsible Sourcing Scheme for Concrete. By promoting the common interests of industry – based in the EU – in those areas of standardisation policy falling under Regulation 1025/2012 and ensuring that the principle driver of European standardisation should be market relevance.